Rates and availability are displayed when you make an online booking. Peak season: Easter and Christmas Day to New Year’s Day. Shoulder season: NSW and QLD school holidays. Off peak season: All other times. Spoil yourself with a stay in your very own beachside accommodation at this ECO certified two-bedroom cottage. 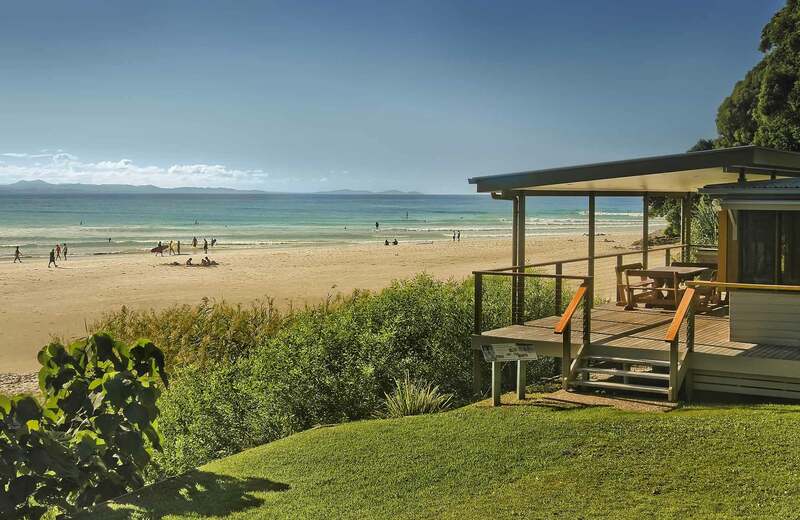 Nestled between the bush and beach, at Byron Bay's renown 'The Pass' surf spot in Cape Byron State Conservation Area, you'll feel worlds away from civilisation. Located just a short drive or stroll from the centre of town, this cottage offers one of the most stunning views of the east coast, all from the comfort of your bedroom, or while you lounge on the balcony. This unique cottage was used as a holiday shack for close to 100 years, and has been fully renovated to meet every possible need beach goers may have. The jewel in the north coast holiday crown.